I was supposed to go to Hanoi last February. I had booked my ticket and my hostel, and bought a new bag and camera. I was looking forward to the trip, but that month was busy and incredibly stressful, so I mixed up the date of my departure and went to the airport the following day. It was a painful (and costly) lesson in being fully-present: what else could I miss if I live my life in a constant state of preoccupation? Luckily, another seat sale popped up. Actually, it was my friend Janessa who was looking for flights (it was also Janessa who was looking for flights when I booked the trip I missed). On a lark, I decided to look for flights to Hanoi and found a cheaper ticket. Being an impulsive cat, I booked a trip this September and made it! It’s a good thing I made my flight because Hanoi is an achingly beautiful city. As a former French colony, a lot of the buildings were done in neoclassical styles, even in rundown neighborhoods. I noticed a lot of the buildings because part of my agenda was to appreciate the city’s architecture. 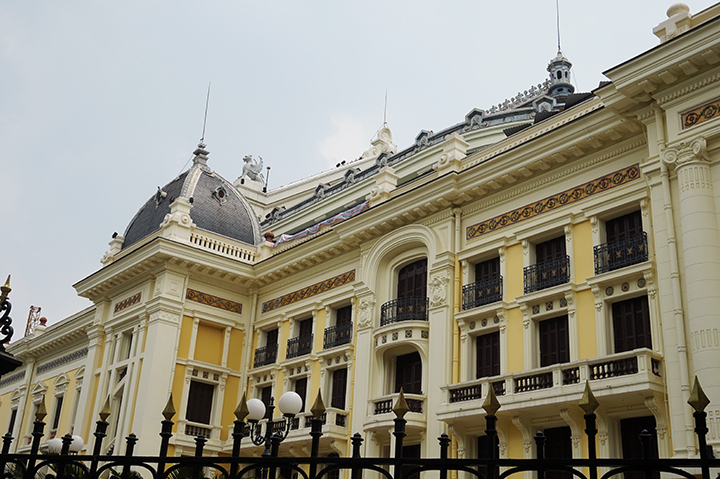 Hanoi’s architecture is best appreciated on foot, and that’s what I did. 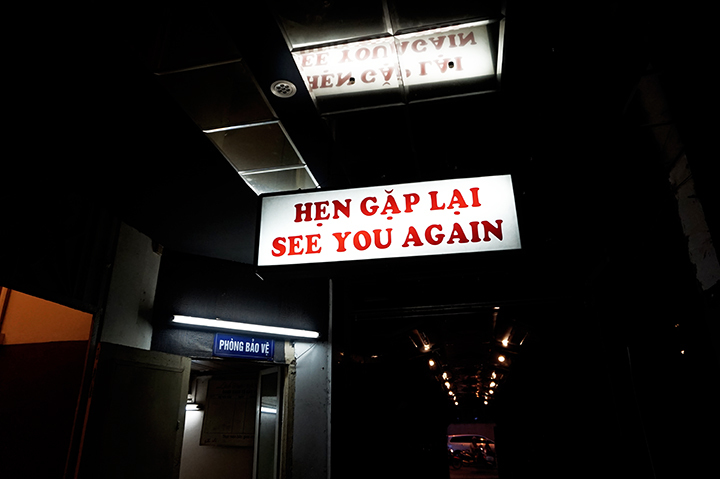 In my six days there, I explored Vietnam’s capital by walking. I am proud to say that I only set foot in public transportation four times: two going to and from the Noi Bai International Airport, and two going to and from a shop that wasn’t accessible by foot. The rest of the time I wandered the city’s many streets, which alternated between French idyll and Manila’s urban decay. 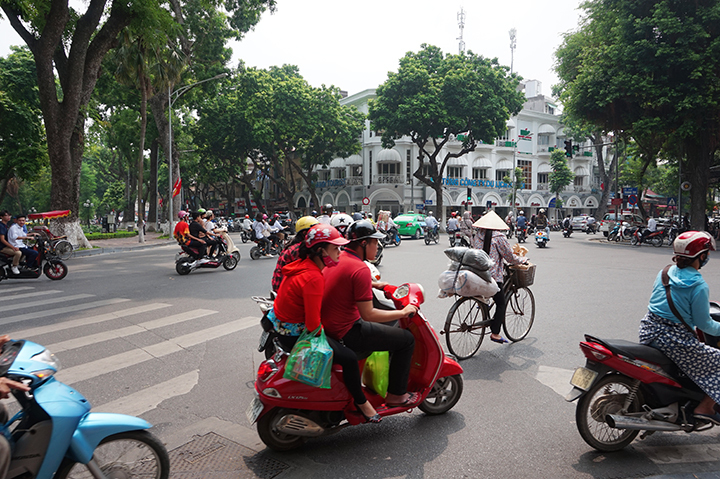 Hanoi is the kind of city where you have to look left, right, up, and down wherever you go. 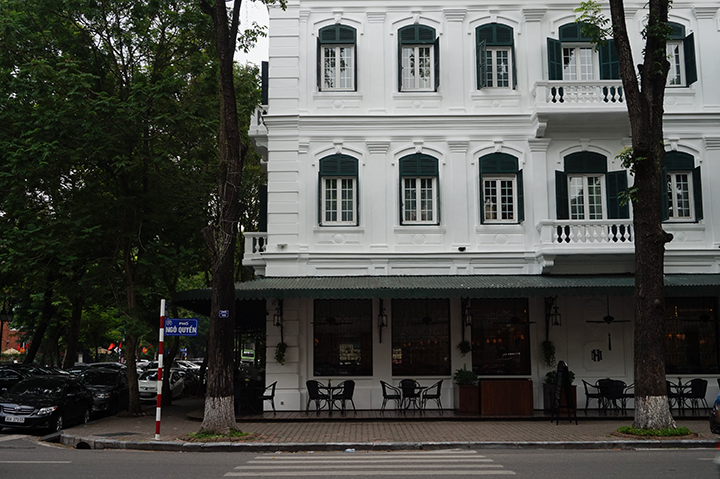 Up, so you can discover charming buildings, like my favorites, the Hanoi Opera House and the Sofitel Legend Metropole. Down, so you don’t step on anyone’s toes along the restaurants’ tables that spill down the sidewalk. The motorcycle is king and it’s scary how dozens of them ply the road, so you have to look in every possible direction whenever you cross the street. I came to Hanoi not knowing how to cross, but I left an expert. Pro-tip: simply step forward from the sidewalk and watch as they weave around you, left, right, left, right. Another reason why you have to look left and right is because you might miss an opportunity to eat. 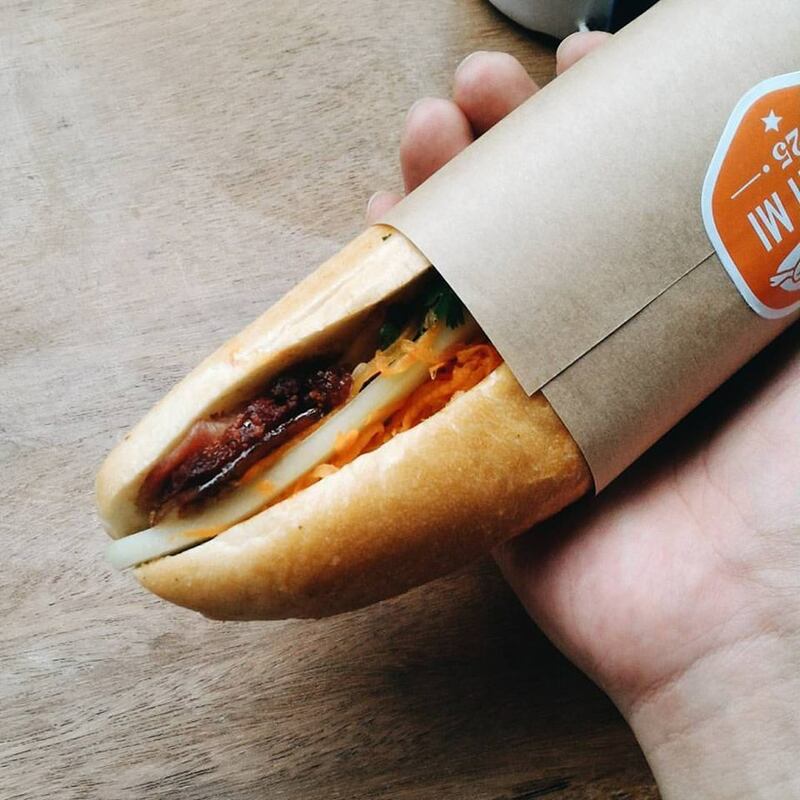 Vietnamese food has made a name on the global menu, which makes sense because of the delicious pho, banh mi, and spring rolls. Unlike restaurants in Manila, the good ones are the blink-and-you’ll-miss-it type: humble stalls or a cluster of tables right next to the road. I had delightful meals I still think about today (while on the phone with my friend Jen, I was thinking of the spring rolls I had at the end of my hostel’s street). 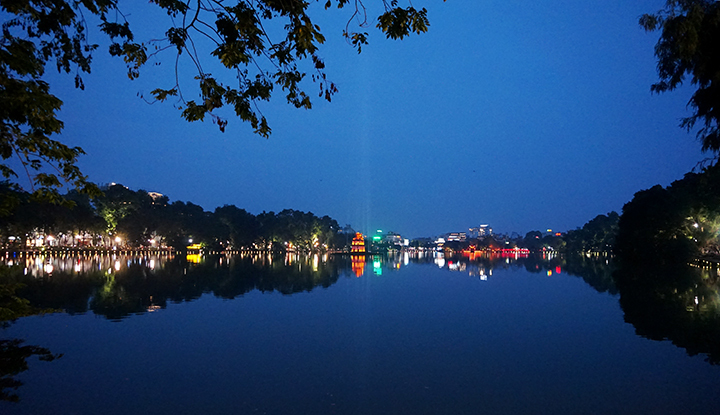 Despite the frenetic pace of daily life in Hanoi, the Hoan Kiem Lake proudly stands in the center of the city, a respite for city-dwellers who want to slow down the passage of time. The emerald waters glistened in the afternoon sun and I spent a few hours just sitting there and contemplating life. At night, it transformed into a constellation of lights. Seeing the Huc Bridge in the evening was a majestic experience. It looked like a dragon gliding through the dark waters. 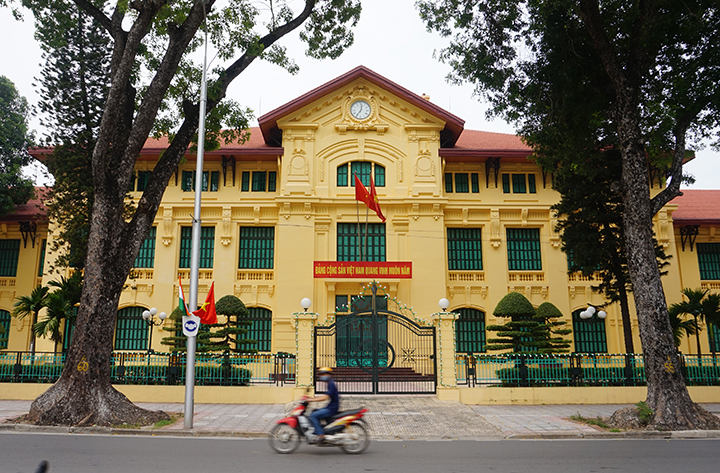 Hanoi is not a city for tourists. There are no Disneylands, Fifth Avenues, or Eiffel Towers. I didn’t even see a McDonald’s (though I ate at a Jollibee run by locals). For Filipinos, it’s not a city to escape to and taste a little of the first world. It’s real life. However, I am happy to have made it to Hanoi after learning to be fully-present because I saw the beauty in everything: the run-down buildings, the fragrance of spices, and the elegance of nature when left to its own devices. Hell, I even found the one thing I was looking for: myself.